WIKIMEDIA, NOAAResearch and development into genetically modified (GM) or genetically engineered (GE) animals for food production is arguably one of the most controversial scientific topics capturing the public’s attention these days. Even a cursory scan of popular media on the topic would suggest an ongoing, highly polarized debate about the impact GE animal biotechnologies stand to have on the world. 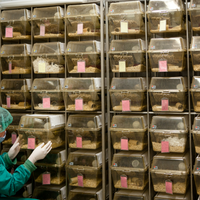 In one corner, the pro-GE camp maintains that such biotechnologies will only provide positive benefits to society. This group suggests that GE animals can save both producers and consumers money, provide more nutritious animal food products, provide better access to such nutritious products, and increase the health and wellbeing of the animals used in food production. Ostensibly, the pro-GE camp views genetic biotechnologies as continuing the long legacy of scientific innovation enriching the human experience. Opposing this view is the anti-GE camp, which maintains that the fusion of corporate self-interest and irresponsible scientific acumen could be a recipe for unintended negative consequences. This group suggests that there are potentially serious environmental and human health risks associated with GE animals that are not being taken seriously. The anti-GE camp contends that GE animals are dangerous and that there are safer, more practical solutions to the problems of cost, nutrition, and access. In reality, these divergent positions—which dominate popular media—represent two far ends of a spectrum, and both are too general and extreme to be of any practical value. As with any emerging biotechnology, the production of GE food animals is primarily profit-driven. However, GE food animal biotechnologies are also a matter of social and political importance. Relative to other agricultural biotechnologies, GE foods have an additional public relations hurdle to overcome: genetic engineering was unfairly framed as inherently dangerous long before it was even technically possible. While the task of assessing the human health and environmental safety of would-be GE animal food products falls to government regulators, elected decision makers will not easily shelve the public’s emotional and ideological sentiment—no matter the scientific evidence. First and foremost, the biotechnology industry needs to take ownership of the battle for hearts and minds if it expects a smoother regulatory pathway or consumer acceptance of GE animal products. That said, can those among us rational enough to consider GE animal biotechnologies trust governments to sufficiently assess their safety? That certainly depends on which government is making those calls, but I believe that for most developed nations, the answer is yes. Many governments include science-based risk analysis methods as tools to guide regulatory decisions on complex public policy issues. Risk analyses are evidence-based approaches designed to allow a consistent, objective, and transparent means to determining the level of risk of a potential stressor. These same methods have been adapted to evaluate and manage the potential impacts of GE biotechnologies on human health and the environment. While risk analysis methods are essential tools, they are not infallible. Determining what needs to be assessed, scientifically speaking, is fairly straightforward. But actually collecting sufficient empirical information can be time-consuming and expensive. Complicating this further is the fact that risk is probabilistic and there will often be uncertainties that limit the power of scientific advice in support of regulatory decisions. In other words, science will not always afford an easy judgment. Therefore, it is critical to design risk analysis tools using the precautionary principle; that is, in the face of scientific uncertainty, management measures to minimize a potential risk should be implemented by default. The precautionary principle, however, is only practical when there is uncertainty surrounding a reasonable level of risk. 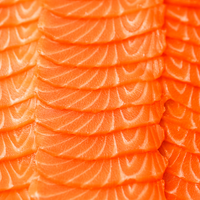 Aqua Bounty Technologies’ AquAdvantage Salmon, the first GE food animal under regulatory consideration in the world, provides a good example of how risk analysis can balance scientific uncertainty with precaution. 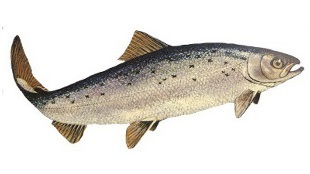 This fish is a fast-growing, transgenic Atlantic salmon intended for aquaculture production. 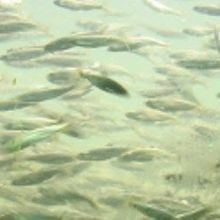 Focusing on environmental safety, there are legitimate concerns about the potential for ecological impacts and gene flow from AquAdvantage fish into wild populations if they were to escape captivity. AquAdvantage Salmon have undergone two independent environmental risk analyses in Canada and the United States, and the conclusions/recommendations of both nations have been that, under the specified terms, there is an acceptably minimal risk to the environment. The available data to assess these concerns are incomplete and highly uncertain for reasons beyond the scope of this article. However, the regulatory approvals sought for AquAdvantage Salmon include physical and biological containment measures that negate reasonable levels of risk because the potential for significant exposure to the environment is highly unlikely. Developing the regulatory framework for managing GE food animals is a relatively new task for governments worldwide. 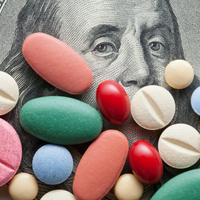 They are, however, being integrated into existing regulatory systems that have already embraced evidence-based risk management. To build public trust, governments need to better communicate what measures are in place, and why. The pro-GE camp feels the regulatory process is overburdening. Anti-GE folks believe that existing checks and balances are not sufficient. Regulatory systems must not only consider scientific evidence, but legal, economic, and political considerations as well. Therefore, they will never be perfect for any one interest group. These systems will, however, progressively evolve to meet society’s needs, including the brave new world of GE food animals. Darek Moreau’s PhD work provided data in support of the environmental risk assessment of transgenic salmon at Memorial University of Newfoundland, Canada. He now works in environmental services with Stantec in Fredericton, New Brunswick. The views expressed in this article are the author’s and do not necessarily reflect those of any past or present institutional affiliations.